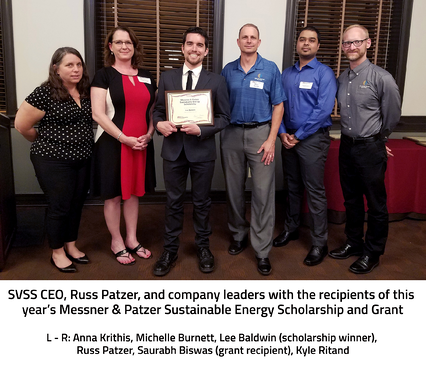 Earlier this month, the Sun Valley Solar team was privileged to award two talented ASU Sustainability students with the very first Messner & Patzer Sustainable Energy Scholarship and Grant. The scholarship and grant were established in 2016 by the employees of Sun Valley Solar Solutions through a company-wide fundraising effort intended to honor company co-founders, Joe Messner and Russ Patzer, and their vision to improve lives through the deployment of clean and sustainable energy alternatives. The program’s mission is to seek out and support young pioneers who share this vision, and are passionate about advancing the science of sustainability in order to ensure a brighter and cleaner energy future. Lee Baldwin is the recipient of this year’s undergraduate scholarship. Lee is a junior who transferred to ASU in 2016 and is pursuing a Bachelor of Science in Sustainability with a track in sustainable energy, materials, and technology. Inspired by his father’s many years in the U.S. Navy, Lee is interested in learning more about how algae can be harvested to create a sustainable and renewable biofuel alternative. Saurabh Biswas is the recipient of this year’s grant. Saurabh is a 2nd year PhD student in Sustainability. He came to ASU with a bachelor’s degree in Electrical and Electronics Engineering and a Master of Technology in Energy Systems Engineering from India. His research focuses on understanding the links between energy services and social development, using these insights to design energy systems that encourage sustainable development. Saurabh co-founded the initiative called "Rio Claro Sustentável 2020" and for this past year, he has been working with an agricultural community in eastern Brazil to advance this sustainable transformation program. This grant will help him continue his alternative energy research and the global initiatives he started as a USAID Global Development Research Fellow in Rio Claro. On behalf of all the employees at Sun Valley Solar, and our founders who inspire us, we are deeply honored to play a small role in Lee’s continuing education and Saurabh’s important research. We congratulate them both on their amazing accomplishments thus far, and wish them great success as they continue to work toward a cleaner and more sustainable future for us all. 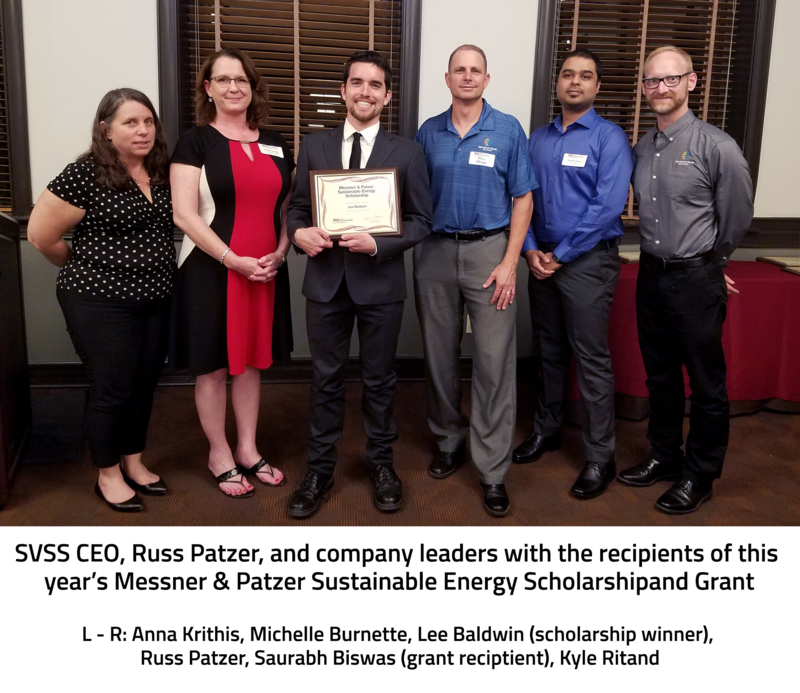 The Messner & Patzer Sustainable Energy Scholarship and Grant are available to students at ASU’s School of Sustainability who are interested in pursuing careers and/or research in alternative energy, including solar technology. More information is available at www.scholarships.asu.edu. We invite you to learn more about The Sun Valley Solar Difference and what sets us apart from other local and national solar installers. 2019 is the Final Year of the 30% Solar Tax Credit - Claim it While You Can!